Above all else, the Gypsies love their cricket. Whether you want to chat about an obscure match from the Bermudian Triangle League or the prospects of the Australian cricket side in The Ashes, players within the club’s ranks will be happy to indulge. The passion the baggy blackers hold for the game is evident in all they do on the field too, the unbridled enthusiasm unmatched from the first ball of a season to the last. Gypsies live for the weekend, Gypsies live for summer, Gypsies live for cricket. 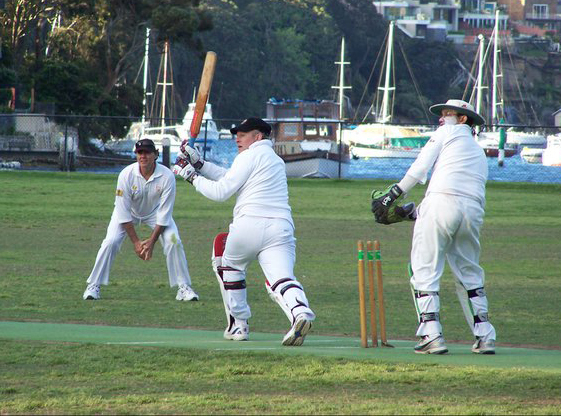 This cricketing institution is proud to represent the gentleman’s game and is proud to represent its members. This is not just a club, it is a brotherhood. Once you’re a Gypsy, you’re a Gypsy for life. This camaraderie isn’t just reserved for stalwarts however, the Gypsies inclusive culture welcomes all newcomers with open arms. 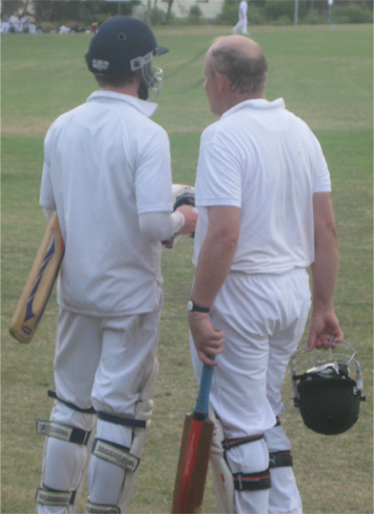 Joining a club isn’t just a chance to play cricket but also an opportunity to form lifelong friendships. The baggy black embraces the individuality of its members and savours the active membership of the eccentric no less than the conventional. The club treats all members evenly. 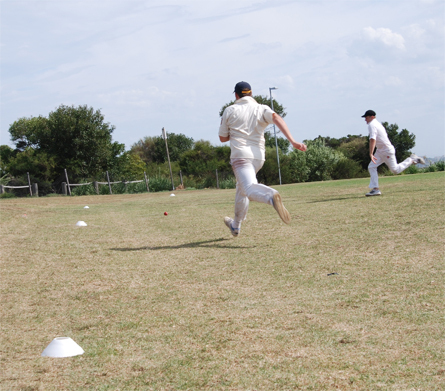 The Gypsies pride themselves fielding balanced teams; where bowlers bat lower order and batsman bowl less to ensure everyone has an opportunity to contribute. The franchise recognises the enjoyment derived from playing the gentleman’s game with your closest mates and, as such, endeavours to keep like-minded groups together. The club has only been in existence since 2007 and, to date, its direction has been driven by a vibrant Generation Y culture within the club. As such, the Gypsies are known for their cutting edge approach to local sports and club governance. Irrespective of your age, you’re sure to relish the enthusiasm, fresh ideas and willingness to experiment that have become a cornerstone of the club. Some of the more revolutionary, or outlandish depending on your opinion, ideas to see the light of day over the years have been the YouTube Channel, Twitter Feed, Facebook Group, Julios vs Nerds social events, bumper stickers, branded beer steins, varsity jackets and swimsuit calendar. You can be sure that there’s plenty more to follow. You have an opportunity to help forge the culture of this cricketing enterprise, etch your name indelibly into Gypsies folklore and leave a lasting legacy; opportunities like this aren’t on offer at stricter clubs. 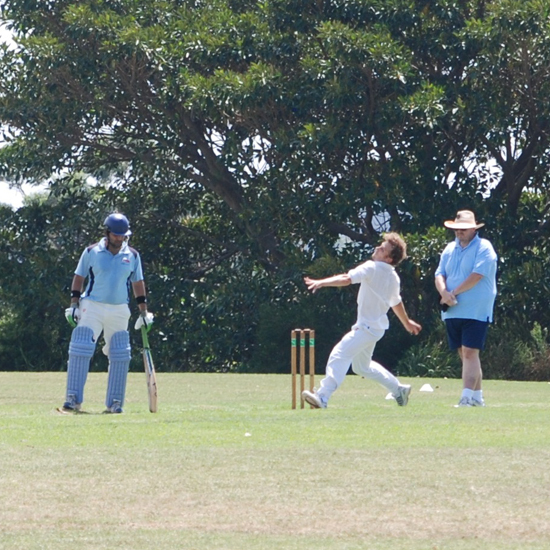 The Gypsies are one of the most identifiable cricketing institutions in Australia. From the irrefutable grandiosity of the baggy black to the distinguished refinement of the sash, members in uniform stand out for all the right reasons. Those dressed to impress, dress to be a Gypsy. Each player is also assigned a unique lifetime playing number. Come match day, Gypsies further differentiate themselves through the impassioned Bring It Home address and the echo of the Ode to Gypsy (the club song) across the hallowed turf after registering a ‘W’. On top of these ever presents, Gypsies are afforded plenty of opportunities across their playing career to be recognised as members of the great club; be it via ultra fan banners, cuff links, bumper stickers or something more. When you join us, you aren’t just a cricketer, you’re a Gypsy and you’re for life. The club’s members are renowned for their sense of humour and love of banter. This was no more evident than in 2008-2009 when the Gypsies “tabloid press” took its first tentative steps, with the legendary Rumour Mill (focusing on faux-Gypsies player movements) and Leadership Spill (humorously lampooning national politics by focusing on faux-factional infighting with the club) Facebook Group threads receiving a torrent of contributions and never-ending chuckles from a large readership. The baggy black bring this tongue-in-cheek approach to match day too, spending much of the afternoon joking together, irrespective of whether or not opponents decide to join in. Laughter, and the occasional Queen track, is the soundtrack to a Gypsies’ life. Over the course of each season, the club hold numerous unique events. The annual WAGS+FAF Day (Wives & Girlfiends + Friends & Family) is a barbecue, picnic, raffle, sports event, mascot meet and party all wrapped into one and takes place at the onset of the season. The DD Treat Medal Award Ceremony is the franchise’s end of season function featuring a participatory match-by-match season review complete with running DD Treat Medal tallying (think Allan Border Medal but better), winner announced upon conclusion. The Gypsy Award, RH Dark Horse Award and Bring It Home Award are also presented at the event, followed by the obligatory team photo and game of backyard cricket. The club hosts numerous Julios vs Nerds socials across the on and off season, with any opportunity to pit these two fierce rival groups against one another always embraced; ten-pin bowling, paintball, poker, laser skirmish, eating challenges and trivia nights, amongst others, become the battlefield. Are you a Julio or a Nerd? The club’s embracing of technology is part of the Gypsies’ ethos to never be caught standing still, for to stand still in the twenty-first century is to move backwards. The Gypsies are famous for their patronage of online social networks, YouTube, Twitter, Instagram, Facebook, with the levels of participation in each medium growing season-on-season. Members over the years have created photo montages, filmed videos and written articles via each of these channels to express their love for the baggy black. In 2012, the club held its first Playstation cricket tournament, developed a PayPal e-payments solution for players/sponsors and ran a promotional campaign utilising mobile phone enabled barcodes. The Gypsies relish the cut and thrust of competition. They are known for playing hard but fair cricket. Members pour their heart and soul into each ball, be it at training or on match day, and always strive to be on the right side of victory. The baggy blackers fight to the death and keep trying even well after the fat lady has sung (never much liked opera anyway). Members support and encourage each other to be best that they can be. Gypsies celebrate the good times and are motivated by the tough. The club insists on playing within the rules and that its members conduct themselves with integrity, for cheating is a hollow triumph and never satisfying. Most importantly, even though the Gypsies don’t always win on the scoreboard, they always win respect. 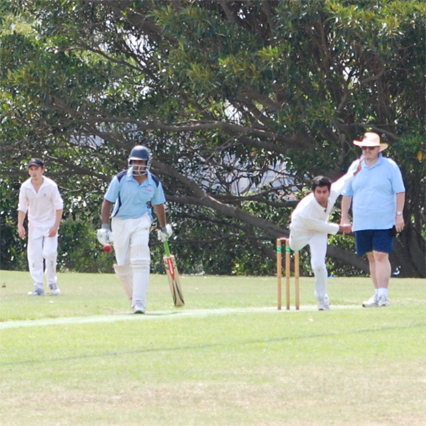 The Saturday afternoon local NSCA and NCU competitions plus Sydney-wide SMCC and SMCA competitions in which the franchise participates are known for their diversity. 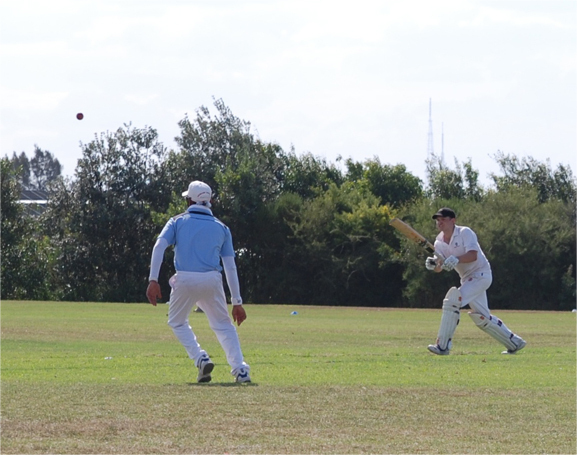 Members have the opportunity to play short-form cricket (maximum 35-40 overs per innings, one innings per team, one-day matches) or long-form cricket (maximum 72 overs per innings, two innings per team, two-day matches). 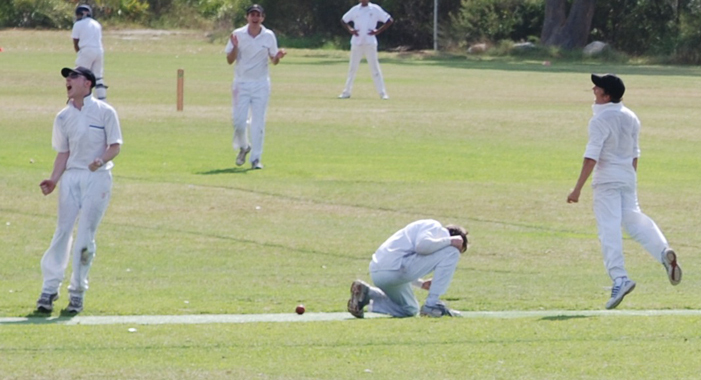 Members also have the opportunity to play on turf wickets (NCU and SMCC) and synthetic wickets (NSCA and SMCA). 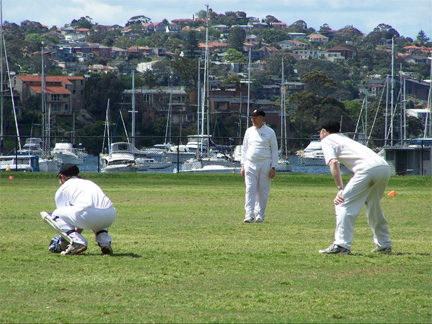 Furthermore, the club fields teams in both summer and winter competitions to ensure members can get their cricket fix year round. 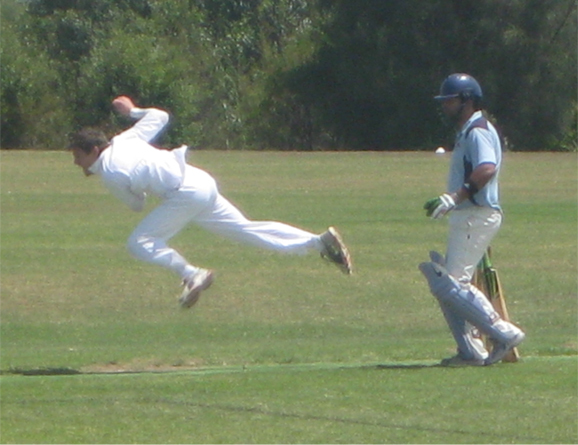 The Gypsies are committed to all forms of cricket yet prefer to field teams in the short-form cricket competitions on synthetic wickets as this drastically increases the amount of playing time across the season (more overs, pitches more resilient to rain) and is less expensive for players. Members of the Gypsies can be sure that their season fees are the best bang-for-buck in Northern Sydney. The club’s only charges what it needs each year, with any proceeds obtained over the course of the season from grants or donations returned to members via the latest cricketing equipment, Gypsies merchandise or a night to remember come season's end. 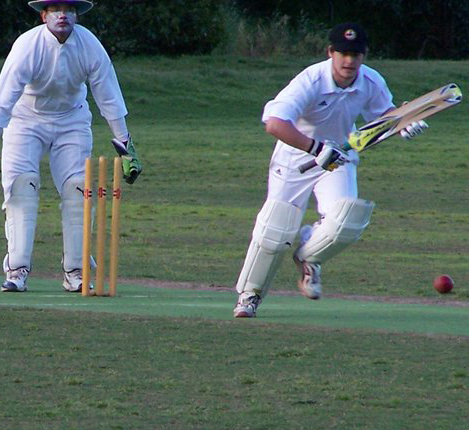 The baggy black aims to make cricket accessible for all and keeping season fees as low as possible is in line with this ambition. All board directors are volunteers and assist the club free of charge. At the Gypsies, we believe variety is the spice of life and we save commitment for marriage. Our members are encourage to move where they please upon conclusion of a match. 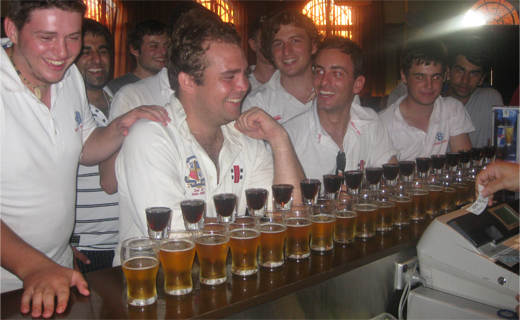 Whilst a tipple with your teammates is always a fitting exclamation mark on a resounding victory, the venue should be that which is closest to the ground and attendance should never be demanded. Other clubs often boast that their ties with a local pub/club result in discount drinks for players, however these clubs fail to mention is that in order to earn such “privileges” members are required to drink at the said establishment most Saturday nights across the season. What a burden! Mama always said, “Life is like a box of chocolates,” before the Gypsy responded, “and I plan on trying each one”. One pub/club all year is not a box of chocolates.